Can you explain how you were drawn to carnival in the first place? 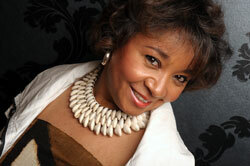 I am Trinidad born, and carnival is a major part of our culture and identity. Street theatre and costume is a large part of what we do, and the 1980s was a particularly good and innovative time for carnival in Trinidad. It’s also part of my family heritage – my parents took part in carnivals in Trinidad when I was a child and I even won a prize for my carnival costume when I was 3 years old! What I didn’t learn until later on was that my father made carnival costumes when he was young and he was born on carnival day, so carnival was part of both my family and my national heritage right from the start. What is your educational background and how did that lead you into carnival? I came to the UK when I was 16 and did a foundation arts course. When I finished that I couldn’t decide which direction to follow as I was a good all-rounder until one of my tutors suggested theatre design. This was the perfect solution as it tied in with my interest in music, costumes and working in a team. 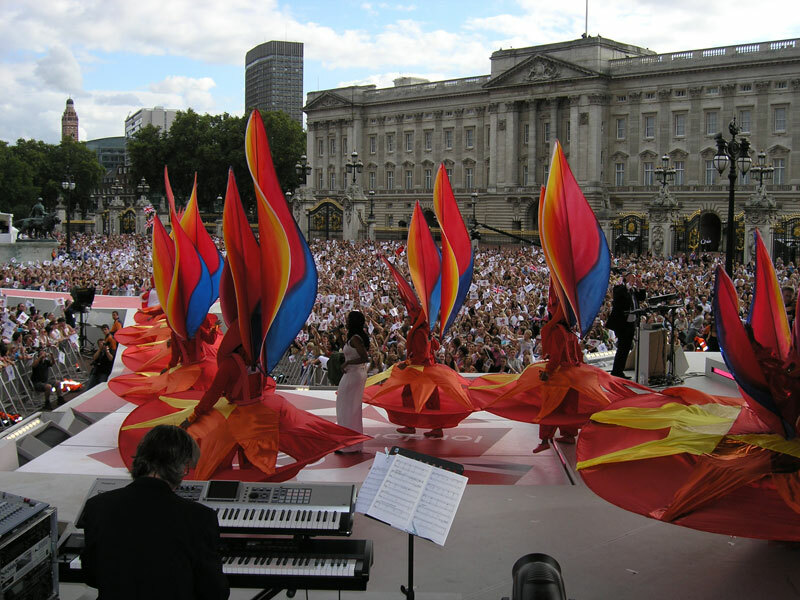 So I studied theatre design at Wimbledon School of Art and while I was there my tutors encouraged me to get involved with the Notting Hill Carnival. This led to me volunteering at a Mas Camp making carnival costumes and I worked there for three years while I was doing my degree during the 1980s. Then at my degree show I was spotted by the producers of the BBC programme, Debut, which was about students who were going to make an impact on the future, and they featured me as their theatre design student of the future. It was a great opportunity as it enabled me to stay in the UK and develop my theatrical skills and led directly to me getting my first design job with Temba Theatre company. What is the most important thing about carnival for you? Why we have it! It’s a legacy passed on to people like me which developed out of a particular historical situation in Trinidad. It grew out of slavery and protest against black inequality. For example, laws were passed banning the use of hide drums in the streets and so the people started making rhythms using a range of implements including metal ones, which led directly to the development of the steel band. When Trinidad became independent, carnival, along with steel bands and calypso, developed into part of the country’s national identity and gave its people their own unique voice. 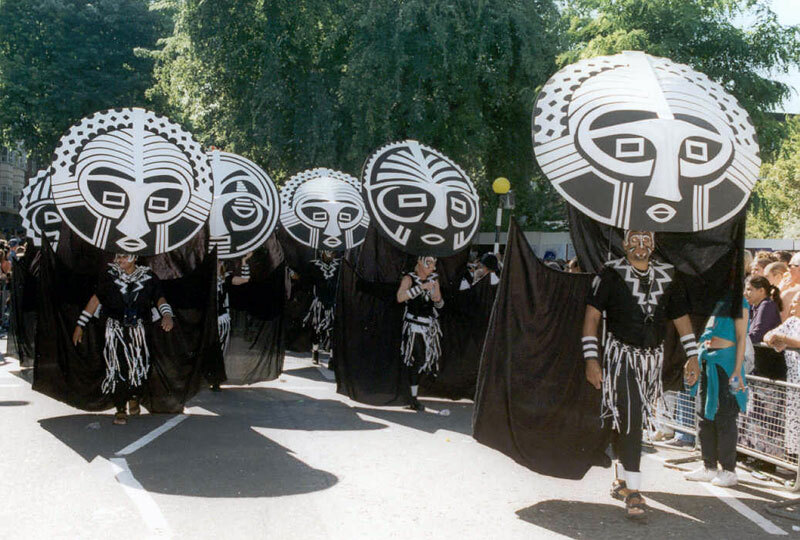 Nowadays in the UK the historical meaning has become submerged as several different carnival traditions have come together, but I still think it’s important that carnival happens and that it is of a high standard. I want to keep the tradition alive but allow carnival to develop and to innovate within the tradition. So Mahogany tries to stretch design concepts, exploring the possibilities of movement, musical rhythm and the like to continue to use this art form to tell vivid, dramatic and powerful stories. 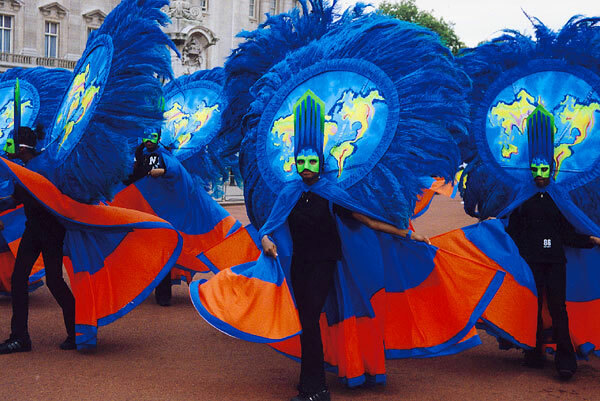 Carnival is a fusion of costume, movement, dance and street theatre. What are you aiming to achieve when you put on a show? I want to take spectators’ breath away! It’s all about impact and affirmation, bringing the world of the imagination to life. It should be awe inspiring. How do you view your costumes? You’ve got to see them as a moving character seen in the round. The costumes have more than one dimension when they are presented so you’ve got to think about how they look from every angle, how they move and how the meaning is conveyed. There’s a sculptural element and a live element to them and you’ve got to be aware of both. I create costumes that have inherent movement but don’t necessarily choreograph this movement. 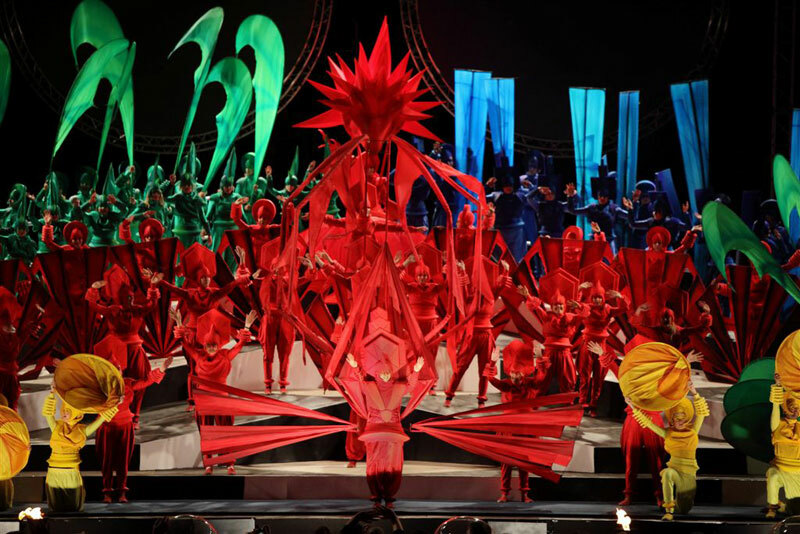 The life of the costume belongs to the performer and they should be able to feel that they can do something exciting with it – carnival invites performers to improvise. They need to be able to understand the context of the show, but also to have the freedom to do what they want – after all freedom is what carnival is all about – although there has to be a dialogue between us. Being a carnival performer should be a liberating experience. We call the unity of costume and performer Mas. There is a point at which the masquerader looses themself in the emotion of the moment and this is called “playing Mas” - the character is alive. Can you explain a bit about the making process? First of all I select a theme – it may be based on current affairs or an event like the Olympics. Sometimes the design ideas come out of discussions with the local community and I try and use these ideas and bring them to life. I then make sketches and I talk with my team about how to realise them. Sometimes designs are influenced by previous ideas or costumes that we try and re-work, pushing techniques or ideas to see how far we can go with them. Sometimes I make a template and then my team work from that. I’m interested in working with other people and it’s very much a team effort. To what extent do practical issues influence the costume designs? A lot – we need lots of technical experience and engineering skills to realise each costume. For example in 2009 we did the opening ceremony for the Special Olympics in Leicester and the performers had to come through a smallish door before entering the stadium. This meant that we had to make collapsing costumes that could unfold once they were in the bigger space. Also you need to know how the body will cope with the costumes and how to create structures to support and protect the wearer so that they can still perform while wearing the costume. Of course for outside performances you have to take into account the effects of the weather, particularly the wind – you’ve got more control over the way the costume moves inside.